Natural stones have not always been popular in homes, not since people stopped living in caves. This is primarily because back in the day, natural stones such as marble and granite were too expensive for common folks. While they were not popular, people coveted them for their own homes because that usually meant financial success. Today, natural stones for home use are much more accessible, but the mystique has persisted. Most people are suitably impressed when they see marble or granite countertops in the home. Of course, natural stones, while more affordable now, are still more expensive than most other countertop materials, and thus increases the home’s value as a result. However, cost is not the main reason people choose natural stones for the home. The real reasons are listed below. There is no accounting for taste in people. What might be attractive to some may be downright ugly to others. Curiously enough, most people find natural stone countertops attractive. Some may prefer the delicate elegance of marble to the robust look of granite or vice versa, but generally, most agree that they make any home look attractive for their presence in it. In fact, many homeowners design their kitchens and bathrooms around their marble or granite countertops because they know it is bound to appeal to and attract the approval of anyone that sees it. The reason many homeowners and interior designers like marble or granite countertops because it goes well with any design. It runs the gamut of styles, from very traditional to ultra modern. Granite, in particular, is available in a wide range of colors and patterns. It is easy to find one that will play well with or even inspire other design elements in a room. Marble has a more limited range when it comes to color, as it tends to lean heavily on the white side, but it is still versatile because white goes with almost anything when integrated correctly. Most people use natural stones for their countertops, but they can be used for other things as well. These include backsplashes, floors, and walls. Granite, being heat resistant, is particularly good for fireplace hearths and surrounds. You may even use natural stones outdoors, as they handle the elements with ease, and even look better with age. Of course, it is important to choose just the right color and pattern to fit a particular design or style. Given the breadth of choices, there is sure to be one to fit the bill with a bit of creative tweaking. Natural stones form over millions of years under extreme conditions. It is true that they have a certain level of porosity, and marble is particularly susceptible to surface damage when exposed to acids. However, the integrity of the stone will remain intact because natural stones are very tough. It is unlikely that it will sustain extensive damage with normal use in a home. That said, some natural stones do tend to be tougher. Some types of granite are not true granite, but granitoids sch as basalt and gabbro, but they are even tougher because they are denser. Generally, true granite is mid-brown, gray, pink or yellow range of colors. Very light and very dark granite, especially those that appear to be a solid color, are probably not true granites. Between marble and granite, granite is more durable. It is heat resistant as well, which makes it a better choice for kitchen countertops. On the other hand, marble stays cool to the touch, which makes it a good surface for making pastries. In either case, countertops made from natural stones will last for a very long time. One of the best reasons to choose natural stones for the home is their distinctiveness. As a natural material, marble and granite form in random ways. There is no one formula for creating these stones. Their compositions and conditions under which they mix, and form will guarantee that no two slabs of marble or granite will be the same. This is true even if they come from the same quarry, or the same block of stone. However, this distinctiveness is more apparent in granite because the colors are bolder and the crystals are larger. These are features of an igneous rock. Marble is a metamorphic rock formed from sedimentary rock, typically limestone or dolomite, both of which are white. Any contaminants in the original stone or protolith come out as veins, sometimes too fine or light to see easily. On the other hand, marble is valued for its patina that no other stone has, which makes it unique in its own right. An interesting thing about natural stones is they tend to look better as they age, provided they receive reasonable care. They will not rust, peel off, fade, or rot under any conditions, so they will last a very long time with a modicum of attention. This is an important consideration for homeowners looking to add value to their homes without having to worry about the costs of maintenance. Any investment made in putting in natural stone countertops or other feature in the home will pay back in a few years because they will never need replacement or repair. Natural stones are a practical choice for almost any area in the home because of their many excellent features. It increases the home’s value by simply being in it, and they will stay beautiful for many years without requiring any special attention. In fact, natural stones will most likely outlast the home itself. That said, acquiring and installing natural stones for your kitchen countertops or bathroom vanity tops will not be easy. It is certainly not something you can DIY, no matter how skilled you are. You need to find a reliable supplier and countertop specialist to handle that part of your home improvement. 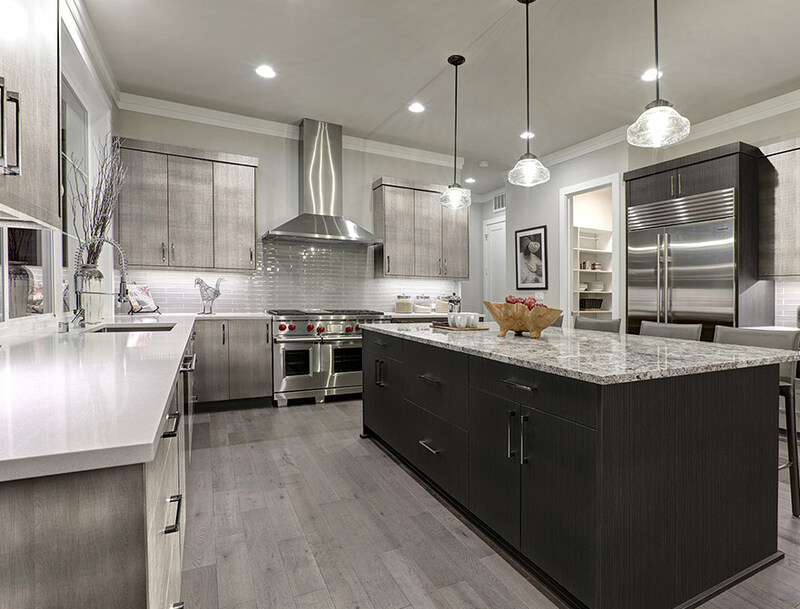 If you want to make sure that you are getting the most bank for your buck, consult with the experts in kitchen remodeling in Maryland and Virginia. KNC Granite is a local company with a large collection of natural stones and engineered stones from which to choose.